An Anchorman at The Office. Steve Coogan has been portraying Alan Partridge for more than two decades, introducing the character on BBC Radio, then moving on to television shows, specials, and web series. There was even a fake autobiography, I, Partridge, published a few years ago. 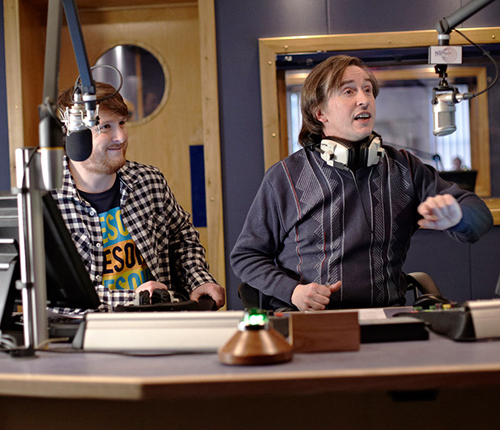 A film featuring the narcissistic radio host was inevitable and Alan Partridge works largely due to the perfect fit of performer with role. The uninitiated need not worry about missing any in-jokes that recall 20 years of history – there certainly may be some that were lost on me, but the film is plenty hilarious as a standalone feature. Partridge blathers away on his trite radio program, radiating an overinflated sense of self as he poses asinine questions to his listeners (“If you lost your sense of smell, which smell would you miss most?”), or looks upon his spacy sidekick with derision. His small Norfolk, England station is being taken over by a large media conglomerate and cutbacks are possible. Especially worried is folksy DJ Pat Farrell (Colm Meaney), who asks Alan to convince the bigwigs to keep him on staff. When Alan learns that either he or Pat will lose their job, an impassioned pitch to retain his colleague quickly turns into a diatribe on why Pat should be fired. After Pat is let go, he returns to the station with a shotgun and takes hostages. Local police enlist Alan as an intermediary, using his phony friendship with Pat as a means to neutralize the threat. But instead of diffusing the situation, the blowhard senses an opportunity to further his career and mugs for the masses and media whenever possible. Alan (literally) dreams of being the hero, but isn’t interested in providing any actual assistance. He even dreams of the heroes being him. In one fantasy, a set of gallant doppelgangers introduce themselves as Jason Statham and Jason Bourne. 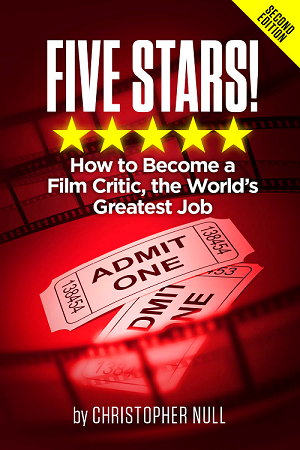 The screenplay is filled with episodes that evolve gleefully out of Alan’s self-centeredness, from his disregard for the well-being of his co-workers to his jealousy of assistant Lynn (Felicity Montagu), a budding media darling. Limiting the action to a few locations allows for that arrogance to be the true linchpin of the action, and director Declan Lowney presents everything in a straightforward manner. The architecture of the radio station and missed opportunities to escape don’t matter in a story sense, only in how they facilitate Alan’s expanding ego. When Pat yanks him back inside after relaying a set of demands, Alan’s not scared of going back into the lion’s den, he’s mad that his well-received performance to the crowd is cut short. He doesn’t have to chant “Attica!” a la Sonny Wortzik in Dog Day Afternoon to call attention to the satire; it’s written on his face and exhibited in his mannerisms. The real joy of Alan Partridge comes in empathizing with the disagreeable buffoon. Comedy by way of awkwardness works in the irrational vanity of Anchorman’s Ron Burgundy or the endearing egomania of The Office’s David Brent and Michael Scott, and Coogan adds his own quirks to that eccentric, distinguished list. Everything is exaggerated, but not overplayed; the rapid-fire absurdity grows out of control organically, mirroring the intensifying silliness of the hostage situation. 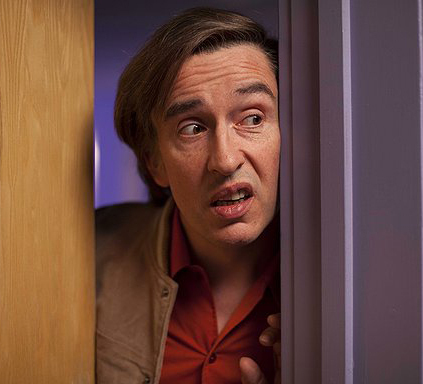 After the siege runs its course, Alan Partridge meanders a bit while searching for an elusive narrative conclusion, but it always remains in tune with the skillful zaniness that is its signature.